Today for your consideration, Dear Readers: two books you can read in an afternoon. 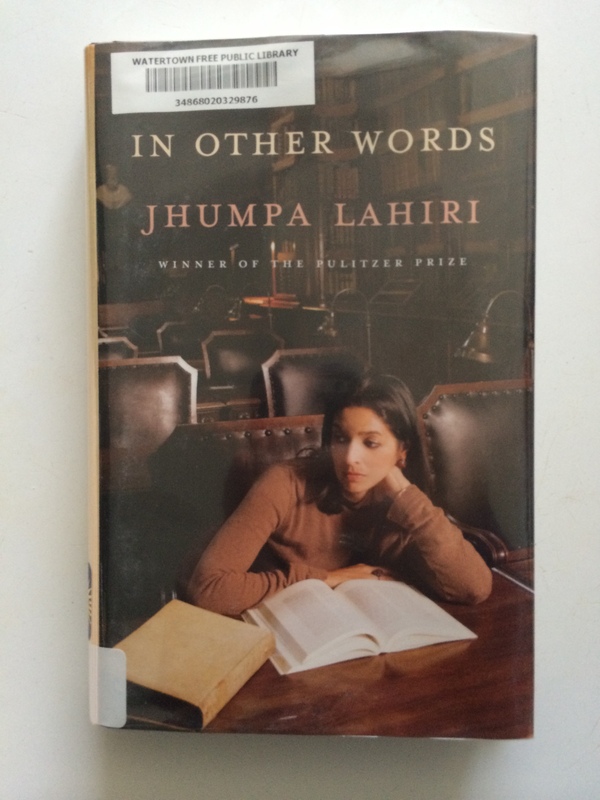 First is Jhumpa Lahiri’s In Other Words, a book of short meditations on her love for Italian. A few years ago, the writer acclaimed for books including The Interpreter of Maladies and The Lowland moved to Italy and committed to reading and writing exclusively in Italian, which she had started learning in her twenties (and which is, by the way, her third language). Ms. Lahiri wrote the book in Italian, and the original is presented side-by-side with Ann Goldstein’s translation into English (if that names sounds familiar, it might be because she also translates Elena Ferrante’s work). I loved reading this (and it was fun to dip into the Italian to look for phrases to puzzle out, or just to whisper all those delightful consonants), not only for the language, but also for its consideration of isolation, belonging, effort, mastery, and passion. Highly recommended. It’s a rather grim tale, and I think that if you’re not a Tolkien die-hard, this book isn’t for you, since the story itself is not fully fleshed out. 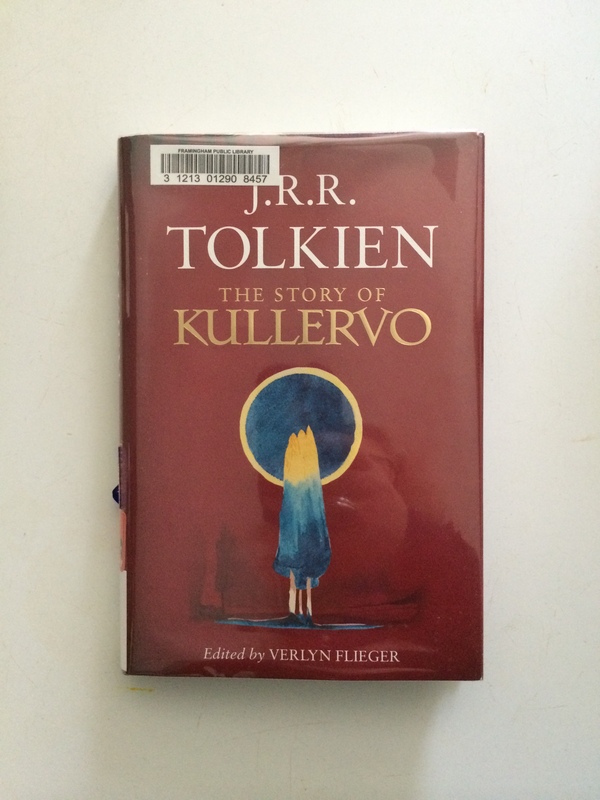 The explanatory material is quite interesting, though, and it put the Kalevala on my to-read list. 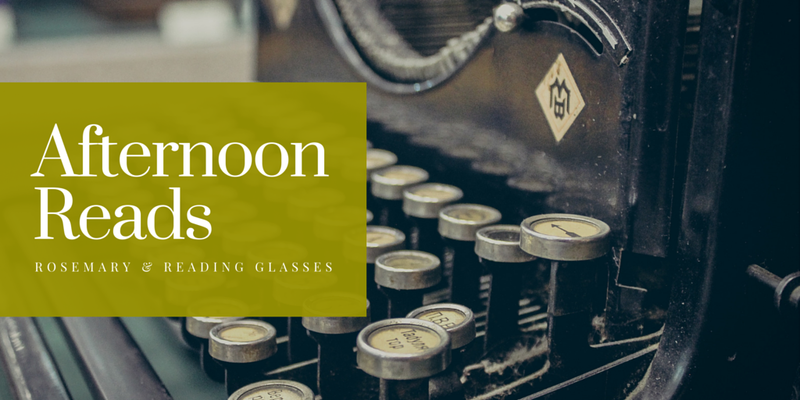 Have you read any afternoon-long books recently? I recently read The Children Act by Ian McEwan – it would be a solid afternoon’s read but for fast readers, time well spent. Probably one of the best short books I’ve read in recent years was Magda by Meike Ziervoge. It’s a fictionalised account of the last few days of the life of Magda Goebbels, the wife of Nazi propaganda minister, Josef Goebbels and herself a prominent member of the Nazi party. Magda was mother to six children, all of whom she took into the Führerbunker in Berlin and killed. Although the writing in this short book wasn’t award-winning stuff, the story was incredible and I still think about it two years after reading it. Lately I’ve been reading much more slowly than usual because of problems at home. I wanted to say that I love how your look changes for this motif. Kay, I hope those problems are resolved soon–I’m thinking of you! And thank you–I’ve been slowly updating the blog’s style over the last few weeks! Thanks, Carolyn! It took me 12 days to read my last book! Now, you know that that’s incredibly slow for me. Oh dear, I hope whatever is going on is not too serious. I’ve been having a similar slow stretch, for different reasons, I suspect. Well, my husband fell down and ripped his tendon off his knee cap. The worst part of it is we want to move in October, and his recovery will take a while. We have a huge amount of work to get the house ready to move, and now I’ll have to do it all. Yeah, not fun. I find myself unable to keep the house even remotely clean, let alone sort through things. We are in a state of disorder. That must be so frustrating. I’m sorry. I’m interested in Lahari but I think I might read a novel first…Looks like In Other Words is over 200 pages, did you really read it in a sitting? Are you a very fast reader? I don’t think I could do that! It’s over 200 pages, but the Italian is on the left and the English is on the right, so even if you dip into the Italian occasionally, you’re not reading those whole 200 pages. And I think I’m a moderately fast reader? A while back, I re-read “Woman at Point Zero” by Nawal el Sadaawi, which was definitely a one afternoon read. I wish I had more of them on my shelf, though, so I could read them in between crazy-long reads. I often read poetry as a palate cleanser, but sometimes that backfires since it can take so long to read one poem! I had no idea that Lahiri had been doing this and that she published a book in Italian! Where have I been? Thanks for making me aware. The book I recently read in an afternoon was Saving Alex, which I posted about on my blog. What a harrowing story that was! I’m glad you enjoyed Lahiri’s book! I had read mixed reviews and so hesitated but it is good to know that you thought highly of it. I am so impressed that she wrote a book in a language that she only recently studied! Apparently she’s been studying it on and off for about 15 years, but only decided to immerse herself in it recently. So interesting!